From the famous Bilinghurst and Cathedral caves, to the multitude of smaller unnamed caverns and cracks around the coast, Gozo is without doubt one of the best places in the world to do your SSI Cavern Diving Specialty. This intensive course combines dry workshops with in-water training in both open and overhead environments. Upon completion of this course you will have learned the skills and knowledge required to dive safely into the visible light zone of underwater caves and caverns as well as earn your Cavern Diving Certification. 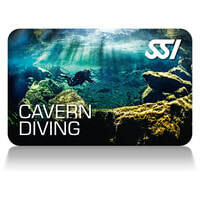 Diver Prerequisites: SSI Advanced Open Water Diver, 24 logged dives, other prerequisites apply, contact us for details.